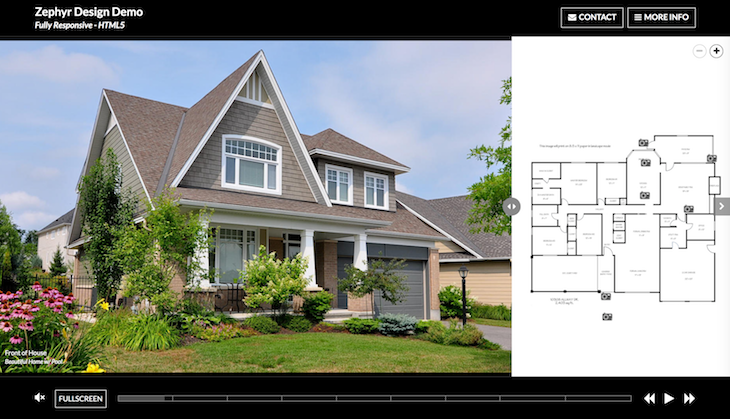 The Initial Floorplan Mode determines whether or not a tour with supporting floor plans begins by hiding, displaying, or delaying floor plans at the start of a tour. This setting only applies to our floor plan navigation feature. 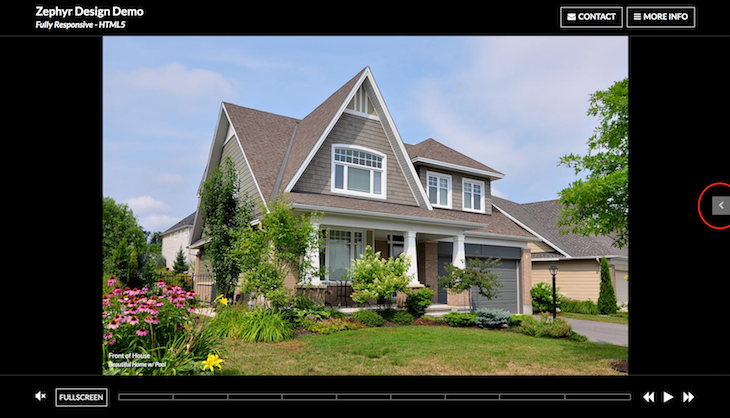 Will display the floorplan alongside tour media throughout the virtual tour. This mode "hides" the floor plan but also allows the option for the viewer to expand by clicking the arrow along the right border. Delays the floor plan from displaying until AFTER the first media asset has completed. This preserves the impact of having a large image visible when the tour loads AND offers a seamless way to ensure the viewer sees the floor plan. Note: If you would like to use this feature, but don't have good, clean floor plan images, you can take a look at our guide for ways to get great floor plan designs.